The results are in from the Knowsley Singing Challenge. Unfortunately no win this year, but very positive comments. 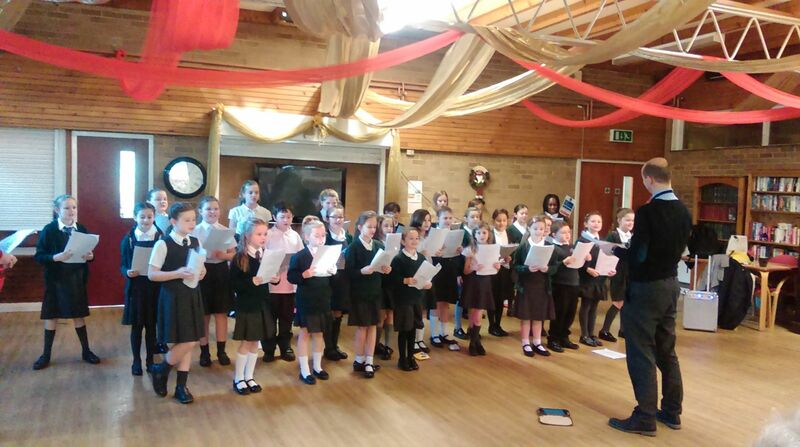 "What fabulously confident singing – great diction and lots of smiley faces. It was thoroughly enjoyable to watch and the actions really gave great emphasis to the song’s lyrics, portraying its message perfectly. Well done!" If you would like to have a look at the video, click here. 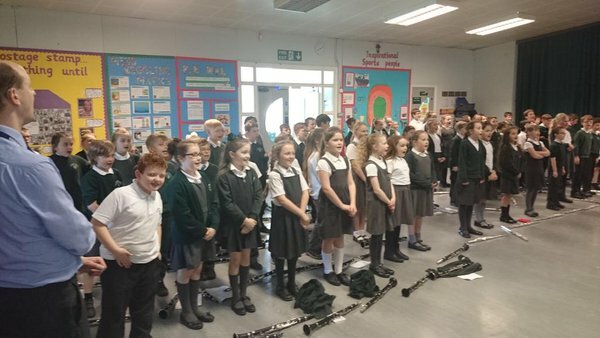 The children are given the opportunity to learn a musical instrument when they get to Year Four. We currently have children learning the flute and clarinet. All the children in Year Four are given the opportunity to learn a musical instrument for free. They are taught by two experienced musicians and will learn how to the play the instrument during the course of the year. They will also develop other skills in music such as singing and as well as appraising different styles of music. 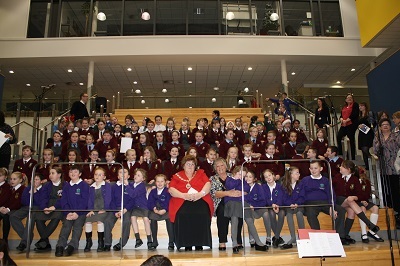 Some of our Year Five children took part in a concert with the world famous RLPO this Christmas. They sang a range of Christmas songs and carols as part of a massed choir. This was a fantastic opportunity and the children loved every minute of it. We were all very proud of them. Every year, our year five children are given the opportunity to attend this three day course. During the course of the trip, they will turn their hand to skills as diverse as storytelling, African drumming, Indian Dance and Visual Art,. All sessions are led by professional performers in those disiplines. It takes place at the Conway centre and is a fantastic opportunity to work with other children to try new skills. This year we welcomed Rock Kidz into Year's 2 and 3. The children spent 4 days learning songs with professional rock artists and this culminated in a live performance and a CD recording. The children had a brilliant time. At Plantation Primary School, as well as teaching art cross curricularly, we also teach it through art weeks, each of which has a theme. The theme of our first week was famous artists. During this week, children created art work in the same style as that of well known artists. These were shown in the art gallery (See below). Our second week is entitled Art from around the World. Check the blog to see evidence of this fantastic work. Recently, our school had an art gallery, where every child's work was displayed and available for purchase. Children created some fantastic art work based upon art from a range of different artists. They feel a real sense of pride in their work seeing it displayed amonst that of their peers. Dance is taught as part of the PE timetable in school. The children develop their dance skills throughout their years in school. They are also given the opportunity to perform dance in front of other people regularly as part of year group shows which take place throughout the year.